Highlands Moms exists to encourage moms with biblical teaching, friendships and practical tips. We use the Bible and various books for teaching and instruction, along with a group of leaders (mentor moms) who are dedicated to walking alongside you as a mom. 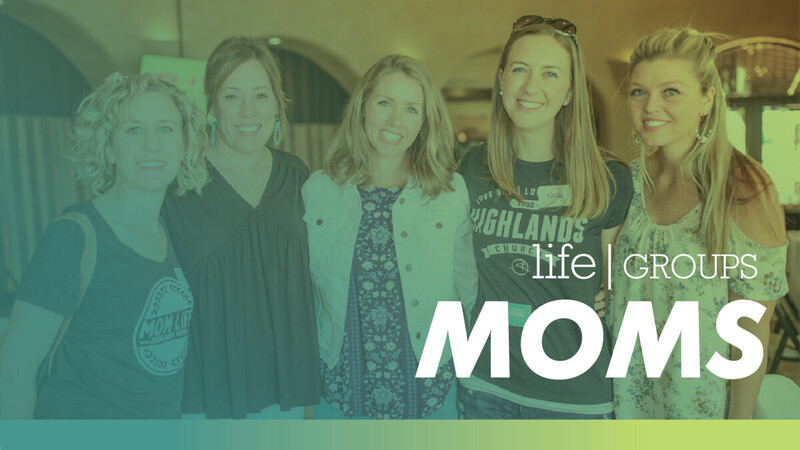 Our goal is to point moms toward Jesus by practical instruction through teaching and small group time, and get moms connected to the Highlands Church family. All moms have a story and we desire to provide a welcoming place to come and rest on this journey of motherhood. Cost is $25 (you will receive a reusable Highlands cup, and a tee shirt). Your child only needs to be registered once to be covered for all midweek childcare for the entire year. For more information, visit the Highlands Moms page or email . Highlands Church might best be described as being conservative theologically and relaxed in style. We are a 'come as you are' type of place where you will be encouraged in worship, and challenged by clear, practical, and sound biblical teaching.